A little something from one of my best pals! 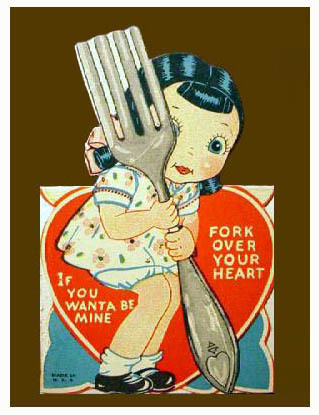 Pardon the cheesy Valentine, but vintage Valentine’s cards are one of my favorite things. They are cheesy, unrealistic, and adorable all in one! Anywho, Let’s discuss the holiday that is upon us. The lover’s holiday, Valentine’s! Whether you have a date with your sweetheart, or an evening with friends planned, you want to look your best. So, lets talk classic date night attire for the ladies and gents. Ladies first, of course. (Gents, feel free to skip ahead, or take some notes!) We all come in different shapes and sizes, making it difficult to find the perfect dress for a special date. Whether you are hourglass, pear, slender, full, tall, or petite, I’m going to give you some dress type options.